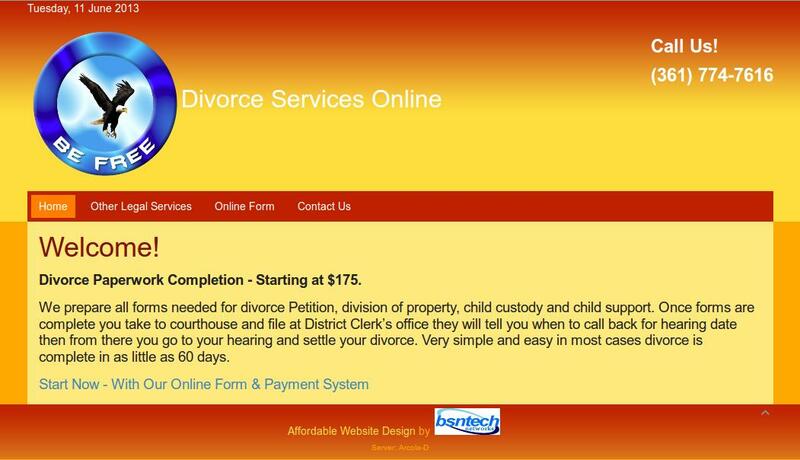 Arthur from Divorce Services Online contacted us to make a low-cost website for his start-up business. In addition, he had us create a logo for him as well. Art tried to create a site at VistaPrint but wasn’t having much luck. He then contacted us to take care of his website needs. We completed his site soon after we received the information from him. We created a large form that customers can fill out on his website – and once submitted, it automatically redirects them to PayPal to make the appropriate payment.